Happy Monday. This cloche was made with a metal candle holder base, that I spray painted white and I had a paper bag that I got from a store, years ago. I mod podged that to the candle holder and the dome came from one of those clocks that has a dome on it. I just painted a wooden knob white and attached it to the top. I used this same paper on another Valentine's craft and I will show all of you another day. I am just not sure what to display in my new cloche. Very pretty, Marisa! 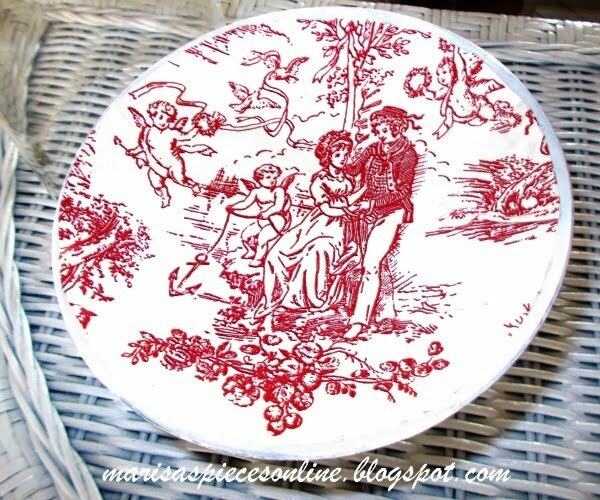 Love the toile you used on the base. 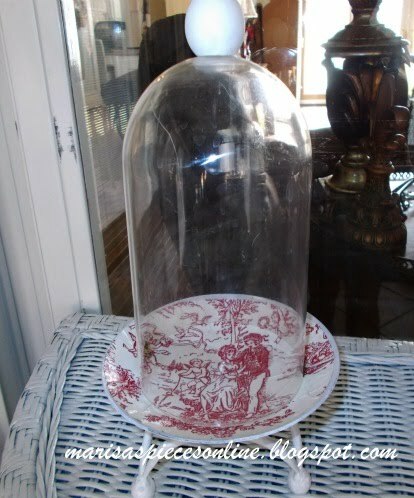 I'll bet you could find lots of things you already have to display under your cloche. 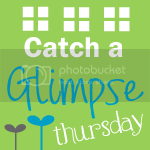 Maybe some pretty teacups stacked up.